TORONTO, Ont. 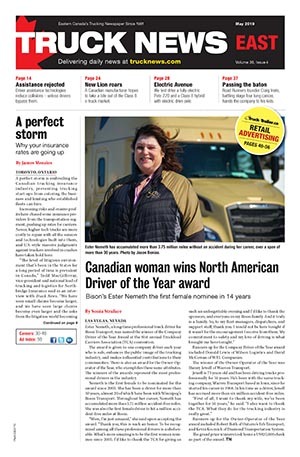 – Newcom Media is looking for Canada’s top truck driver or owner-operator, and is ready to reward them with thousands of dollars in cash and prizes — and the coveted title of HighwayStar of the Year. The annual recognition will be presented on Saturday, April 13, during the ExpoCam 2019 trade show in Montreal. The full prize package includes $10,000 in cash, an Eberspaecher heater system, a special-edition leather jacket, and travel and accommodations for two to ExpoCam 2019 in Montreal. Do you know someone who fits that description? Be sure to tell us about them. Nomination forms are now available online at www.todaystrucking.com/hsoy. The deadline for entries is March 1. 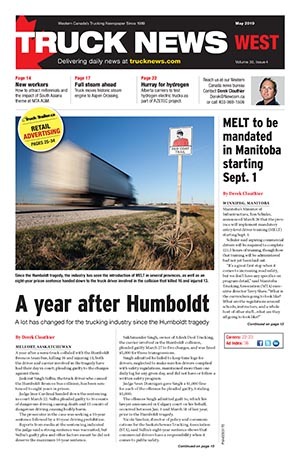 Newcom Media publications include Today’s Trucking, Truck News, Truck West, Transport Routier, Truck Tech, Canadian Shipper, Inside Logistics, and more.